We are making some mile this week, leaving Illinois for North Carolina. With one stop in Greensboro we are motoring to Birmingham, AL. As you can see we trying to hit every region in a short amount of time. Dallas and Kansas City are coming close behind. Song of the week: Home Grown Tomatoes – Guy Clark, this is just a fun song performed by a very talented musician. Week in Review: We had a chance to see Sin City 2, being big fans of the first but wanting to wait until it had been out a bit. We were the only ones in the theater, a fun experience, but I understand why. It was very disappointing, while the first was thrilling and moved quickly the second is painfully sentimental. It is not a must see but if you are going to partake see it in 3D. 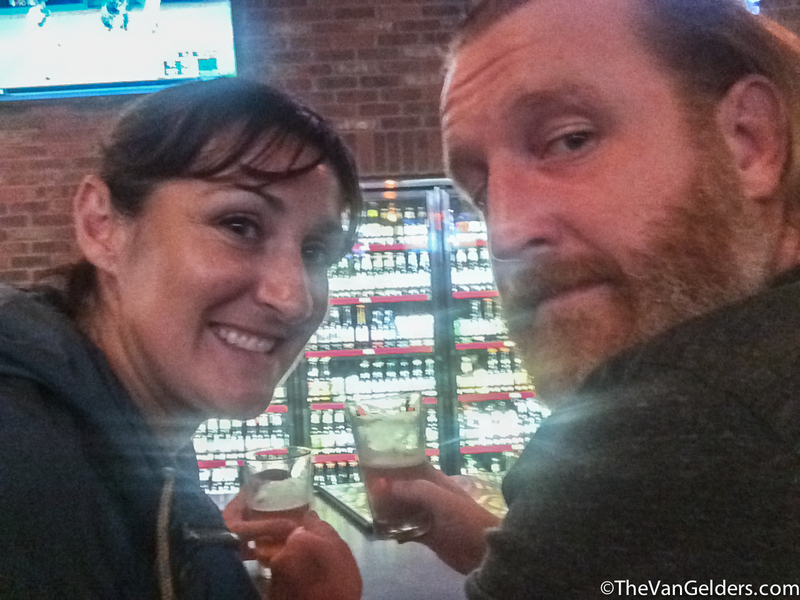 Being back in Illinois was refreshing, even more so after we hit a cool bar called The Beer Market in Schaumburg. There is nothing “special” about it other than it’s a well put together place. The taps are varied and rotating, the bottle selection is amazing, simple food served fast, the music is loud enough to hear but you can easily have conversations and the staff was super fun. These smiles are after a 13 hour day, this place has a great vibe. This entry was posted in Coming this Week and tagged Birmingham, Coming this week, Greensboro NC, Guy Clark, Home Grown Tomatoes, life on the road, Schaumburg IL, Sin City 2, The Beer Market, travel, Travel Life. Bookmark the permalink.